When you own a commercial building, one of the first steps to ensuring it stays standing for many years to come is to protect the roof. Applying an acrylic roof coating is one of the easiest ways to keep this area of the structure shielded from the elements. It is also the best way to save you money on future roof repairs or replacement bills. While you probably don’t think of buildings having the ability to move, there is a lot that happens to them that can make the roof expand and contract on a microscopic level. 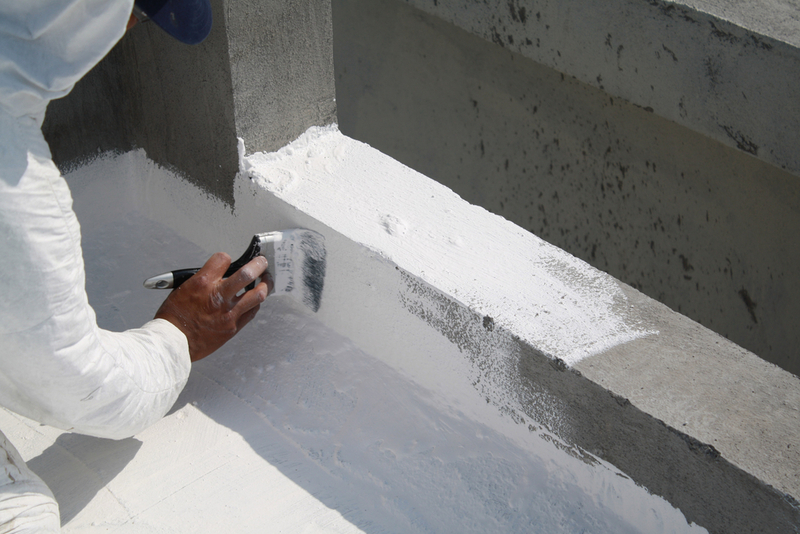 The coating must withstand all possibilities, including thermal expansion, seismic expansion, snow and rain, wind uplift, and vibrational effects. Acrylic roof coating can thwart each of these situations and any type of temperature that could further impact the expanding or contracting. UV rays from the sun are a roof’s biggest enemy. The polymers that make up many roof coating materials absorb these rays, which causes them to break up and break down over time. This then leaves the underlying roof vulnerable to the elements and susceptible to quicker aging. Acrylic polymers are transparent to ultraviolet radiation, which means they are unable to absorb the rays and break down. Instead, they reflect them back into the atmosphere, protecting your roof for another day. Acrylic roof coatings are waterborne materials and are typically applied in a similar fashion to paint. This also makes them easy to clean up after. Roofing contractors can simply apply water to remove any spills, and they can easily rinse out any airless spray canisters that were used once they are done with the project. If the roof on your commercial building is currently unprotected from the elements, contact Ridge View Roofing Solutions in Pitman, PA, for assistance, today. Their roofers have the experience necessary to provide high-quality results. To learn more about their acrylic roof coating options, call them today at (570) 490-0513, or visit their website for more information about their services.